Remodeling your bathroom with marble countertops is one of the best investments you can make in terms of adding beauty and value to your home. 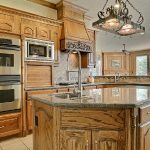 Recent trends show that Houston, TX homeowners are moving towards the incorporation of stone in their space,. 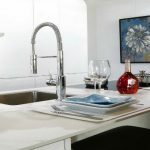 This is largely due to options like white Italian marble and other styles that help to introduce natural color and create a contemporary moody tone. The bathroom is the busiest space in your house – aside from the kitchen – for family, friends, and visitors. It is both a public and private place of contemplation, comfort, and functionality. So when it comes to picking the right vanity, these questions will help you make an informed decision. #1 What size of vanity do you need? This depends on how much space is available. If you currently have a vanity, measure it. Then decide whether you want a new one with the same exact measurements, a bigger one, or a smaller one. If you opt for a larger size, consider the doorways and accessibility of any drawers and cabinets. #2 Do you want to purchase the pieces separately? The number of sinks you want. A choice between undermount and vessel sinks. Whether you prefer to purchase a complete set comprising the marble countertop, sinks, and vanity base. You want to buy the pieces separately. #3 What color do you want? When it comes to colors, styles, and patterns, marble is uniform and easily discernible by its classic white or black colors with amazing veining throughout. Moreover, marble countertops can be ordered in a range of finishes to give you the look you want. Options include honed marble for a matte look, polished for a lustrous look, or antiqued for a weathered appearance. #4 How much traffic do you expect in the bathroom? Marble is a highly durable surface with good resistance for chipping and cracking. 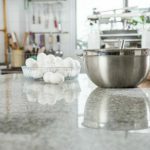 Learn how to care for your marble countertop to avoid causing any damage. 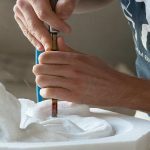 For instance, sealing it regularly can help to maintain the finish and reduce the risk of damage from hair dye, shampoo, and other spills. #5 How much are you willing to spend? It is easy to get carried away by the dazzling look of quality marble countertops. However, you should look at your budget for the entire bathroom remodeling project before making any decisions. A bigger vanity will obviously cost more. So make the necessary adjustments to your design – space, materials, accessories, and so on. Don’t skimp on anything that will cause you to regret later. 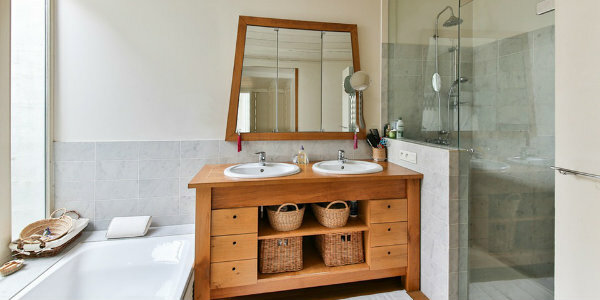 Thinking about remodeling a worn down bathroom or building a new one can be both exciting and daunting, said Laura Bierman, content director at YouthfulHome.com. 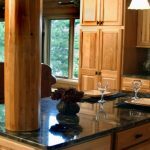 A professional renovation company can provide the expertise you need to make your new marble countertop fit in perfectly. Working with contractors can also help you achieve the character, style, and design you’re going for.